Hannah Malee Duncan, daughter of Gary and Teresa Duncan of Cynthiana, has been selected as a finalist in the Pre-Teen Kentucky Scholarship and Recognition Program to be held July 1-3 at the Hyatt Regency in Lexington. Dawson Robert Purvis was born to James Purvis and Rhonda Yarnell of Cynthiana on May 23, 2011 at Harrison Memorial Hospital. He weighed 7 lbs. 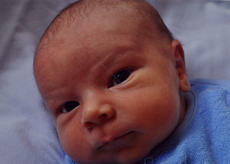 7 oz., and is welcomed by his brother, Devan Justice. Maternal grandparents are David and Sherry Chapman of Cynthiana. Paternal grandparents are Danny and Sharon Purvis of Carlisle, Ky.
Isaac Stanley Aulick was born to Bradley and Lesley Aulick of Louisville, Ky. on March 25, 2011 at Norton Suburban Hospital in Louisville. He weighed 8 lbs. 2 oz., and is welcomed by his brother, Silas Howard. Grandparents are Terry and Sue Allgood of Custer and Larry and Kathy Aulick of Cynthiana. Great-grandparents are Wade and Norma Chappell of Irvington and the late Donald Breeden, Alma Allgood of Custer and the late Howard Allgood, the late Oral and Alta Aulick of Cynthiana and the late Harvey and Ruie Cummins of Falmouth. Births announced this week are: Madison Evelyn Rose Tomlin, Jan. 24, daughter of Melissa Rose Tomlin-Stephens; Kathryn Ann Barton, June 4, daughter of Ricky and Cindy Barton; Amber Mae Blanton, June 5, daughter of Misty Mae Earley and Ronnie Lee Blanton; Trevor Samuel Eden, May 29, son of Brad and Miriah Eden; Faith Ann Hill, June 1, daughter of Christopher L. Hill and Dana C. Gilvin; Preston Connor Roark, June 11, son of Lesley Fugate and Jimmy Roark; Katherine ‘Katie’ Grace Tumey, May 31, daughter of Jessica and David Tumey II. The Barnes family reunion, descendants of M.R. and Nancy Scott Barnes, will be held from noon to ? on June 25 at Unity Christian Church in the new shelter. A potluck meal will be served. The family reunion of Warren Kirtley Sheldon and friends will be held Saturday, June 25, at the Unity Christian Church Fellowship Hall. A noon potluck meal will be served. All plates, flatware, etc. will be provided. 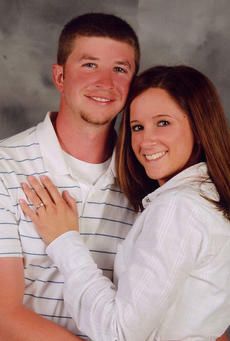 Randy and Kim Figgins of Berlin, Ky., announce the engagement and upcoming marriage of their daughter, Dana Elaine Figgins, to Christopher Michael Johnson, son of Raymond and Janeann Johnson of Cynthiana. Figgins is a 2008 graduate of Bracken County High School and is attending Lexington School for Recording Arts. She also currently owns and manages Dana’s Place in Berlin, Ky.
Johnson is a 2004 graduate of Harrison County High School and is employed by Bluegrass Energy. The couple is planning a July wedding. Formal invitations have been sent. 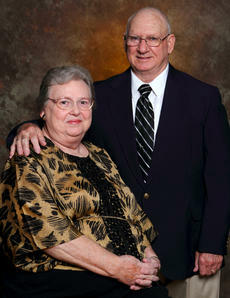 Mr. and Mrs. Wendell Smiley will be celebrating their 50th wedding anniversary on June 26. A reception will be given by their children at the Harrison County Middle School cafeteria on Sunday, June 26, from 3-5 p.m.
All friends and family are invited to attend. Invitations will be sent to out-of-town guest only. The Smileys were married by the Rev. Anson Dowd at Unity Christian church in 1961. 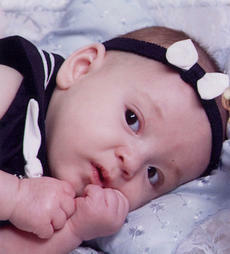 Kendyl Cleaver Burns was born to Justin and Kristin Burns on Dec. 25, 2010, at Harrison Memorial Hospital. She weighed 8 lbs. 4 oz. Kendyl was welcomed by her brother Caleb Burns. Maternal Grandparents are Johnny and Kitty Curtis, maternal great grandparents are the late William C. and Thaddues Brown and the late Clarence and Christine Curtis all of Cynthiana. Paternal grandparents are Hoyt and Judy Burns, paternal great grandparents are Montgomery and Patsy Northcutt of Cynthiana and Robert and Lois Burns of Burkesville Ky. The reunion of David Evans McCauley will be held Saturday, June 18, at noon. 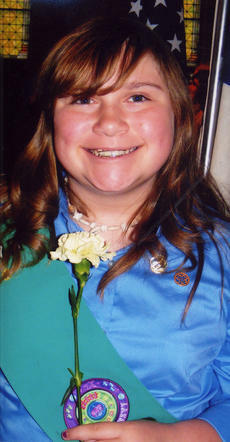 A potluck will be held at the Harrison County 4-H Center located on US 27 South. Family members are encouraged to bring recipes and pictures to share with all.